Well planned and established project communication channels ensure that project participants are provided with a great mechanism of communication to prevent misunderstanding and conflicts. The following Project Communication Checklist explains what key aspects a project manager needs to consider when planning for good team communication and collaboration. 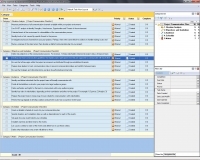 Measure performance of all communication channels available within your project environment. Use SWOT analysis to identify Strengths, Weaknesses, Opportunities and Threats of the environment. Estimate threats of the environment to vulnerabilities of the communication process. Identify levels of risk caused by specific threats to the process. Investigate any lessons learned from your past projects. Perhaps, there were some effective solutions to handle existing issues and risks. Make a summary of the steps taken; then develop a drafted communication plan for your project. Define key objectives of the communication process. For instance, 1) Keep stakeholders informed of project status; 2) Improve team productivity; 3) Increase customer involvement. Develop and share communication guidelines that explain project participants how they are supposed to communicate with each other and what kind of information is allowed for sharing and communicating. Be sure that all messages within the project environment are distributed through pre-established channels. Require team leaders to track communication status to prevent communication failure and conflicts between teams. Be sure that strategic and critical decisions are taken by authorized personnel only. Identify and define individuals that the project team will formally communicate with. Divide all stakeholders involved in your project into target audience groups. Define authorities and rights for the team to communicate with every audience group. Identify key roles of stakeholders, depending on their contribution and effect to the project. For example: 1) Sponsor, 2) Analyst, 3) Quality Manager, 4) Risk Manager, 5) Expert. Require the project team to keep a log of issues related to communications with stakeholders. Review this log regularly to develop solutions and prevent issues from occurrence in the future. Create a detailed schedule of events for your communication plan. 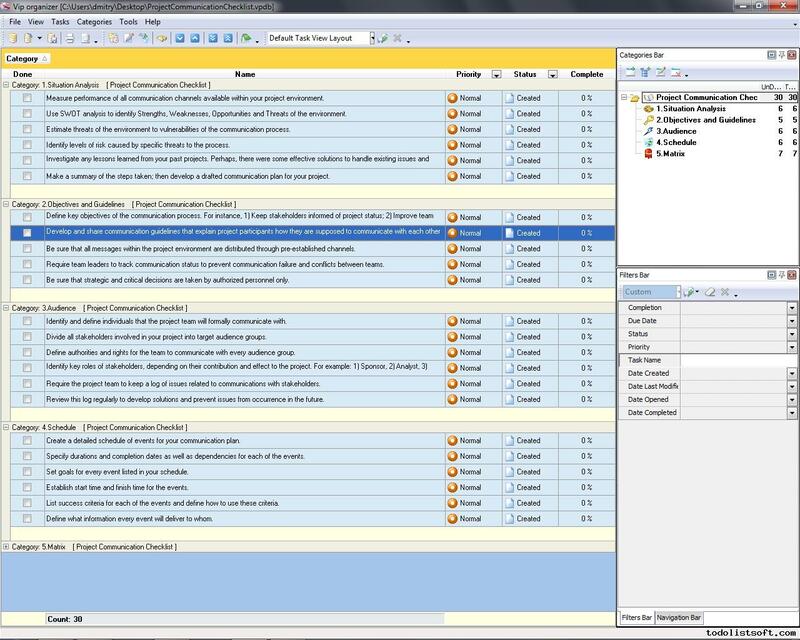 Specify durations and completion dates as well as dependencies for each of the events. Set goals for every event listed in your schedule. Establish start time and finish time for the events. List success criteria for each of the events and define how to use these criteria. Define what information every event will deliver to whom. Design a communication matrix which is a spreadsheet that shows names of stakeholders responsible for each event of the communication schedule. Identify individuals responsible for managing your plan and reviewing its effectiveness. Add names of those individuals to the matrix.